We Honor Veterans is a pioneering program focused on respectful inquiry, compassionate listening and grateful acknowledgment. By recognizing the unique needs of America’s Veterans and their families, community hospice and palliative care providers, in partnership with VA staff, learn how to accompany and guide them through their life stories toward a more peaceful ending. It surprises many people to learn that 680,000 Veterans die every year in the US – that’s 25 percent of all deaths. Hospice providers have been working to help these heroes at life’s end. The Hospice-Veteran Partnership (HVP) Program is a collaborative effort between the department of Veterans Affairs (VA) and the National Hospice and Palliative Care Organization (NHPCO). HVPs are comprised mainly of VA facilities and community hospices, the two primary providers of hospice care for Veterans. Vet to Vet Volunteer Program – an innovative model for serving Veterans at the end of life – the Veteran-to-Veteran (Vet-to-Vet) Volunteer Program. The Vet-to-Vet Volunteer Program aims to pair recruited Veteran Volunteers with hospice patients. 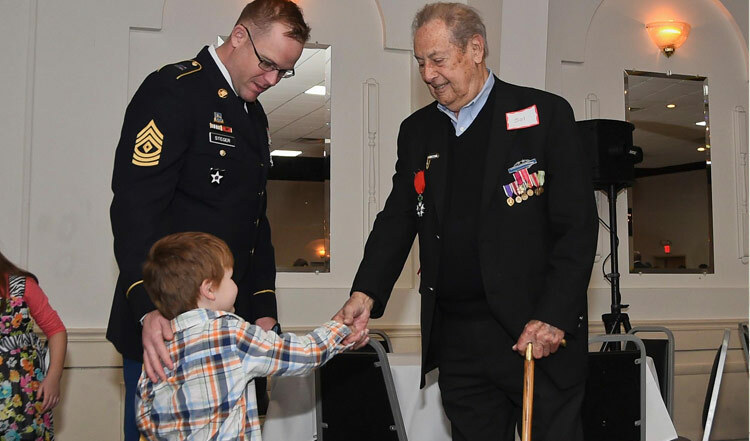 Once paired, Veteran Volunteers have the unique ability to relate and connect with Veteran patients and their families. Education – We have educated our hospice team to identify and respond to the unique physical, psychosocial and spiritual needs of Veterans. 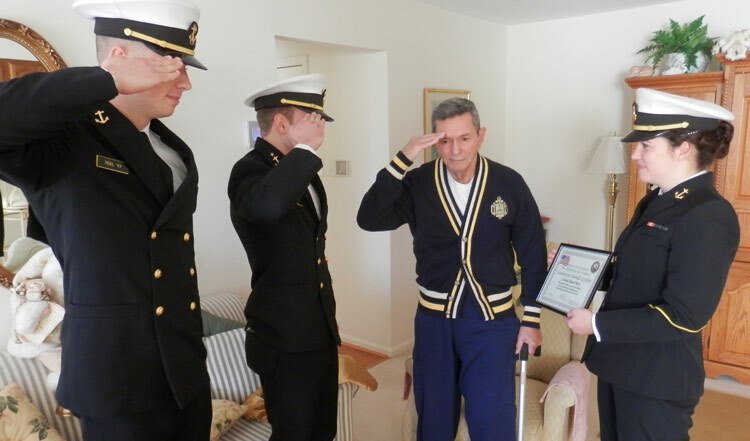 Honor Salute – In partnership with the United States Naval Academy, our volunteers accompany USNA Midshipmen to the residence of a Veteran in our care, where they conduct a formal ceremony of recognition and appreciation for their military service. 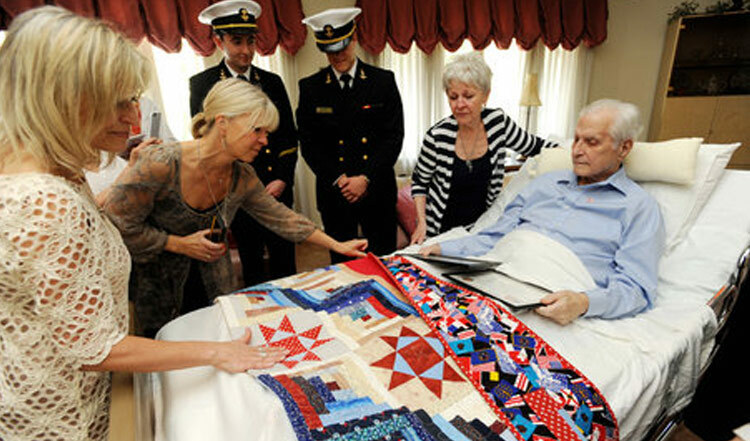 Veteran patients are saluted, presented with a Certificate of Appreciation, pinned and presented with a patriotic quilt handmade by sewing groups from the community. 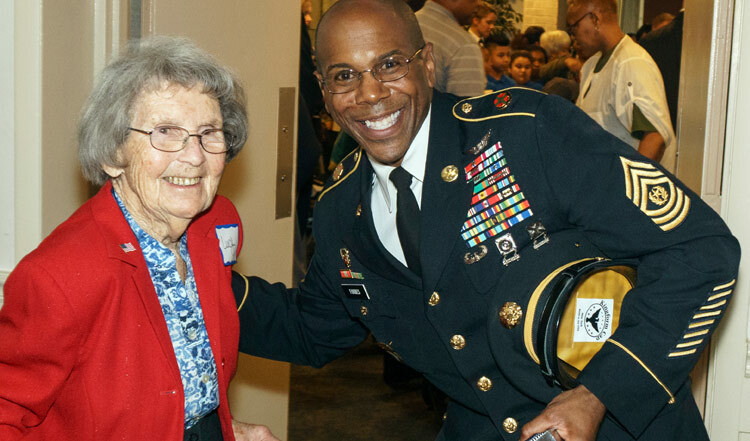 This unique program brings together family and friends to celebrate what is often the last time these men and women are publically thanked for their service. Veteran Documentary Project – Hospice of the Chesapeake is partnering with Annapolis High School’s Performing & Visual Arts Magnet Program, in which these students create documentaries of our Veteran Patients’ military service. Through storytelling and life review, a veteran may be helped to die healed. Other benefits for our veterans include engendering a sense that their lives have meaning and ensuring that they are leaving a legacy for future generations. For the students, they learn the art of filmmaking, develop and foster meaningful relationship with veterans, learn how to research and gather relevant information, and learn first-hand about a chapter in history from a veteran that lived it. 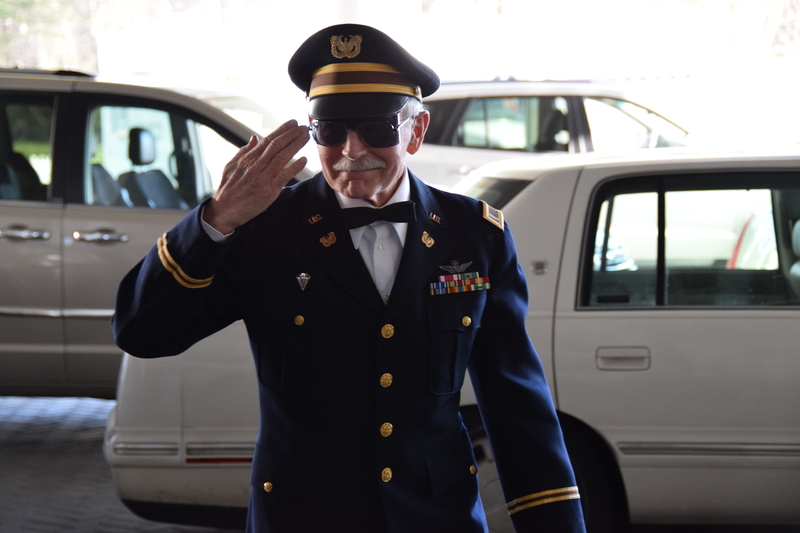 Following the completion of the documentaries, they will be archived in the Veterans History Project at the Library of Congress to preserve first hand remembrances of Veterans and to promote intergenerational learning. Operation Honor – Hospice of the Chesapeake is partnering with South River High School students, to write letters of gratitude to our Veteran patients for their service. Students will conduct research based on the history of their assigned Veteran in order to craft a knowledgeable and authentic letter of appreciation.